Giddings Residence & Rehabilitation Center offers the highest standard of care in our state-of-the-art facility. 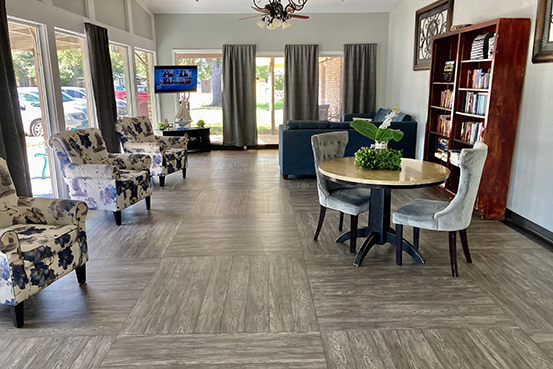 Whether a long-term resident or a short-term rehab patient, all our clients feel good about calling Giddings Residence and Rehabilitation Center “home.” We make every room and common area inviting for our residents and guests. The cheerful, warm staff and comfortable environment make our facility feel like home. without regard to age, disability, race, color, national origin, religion, marital status or gender.